Kapoho bay over taken by lava. 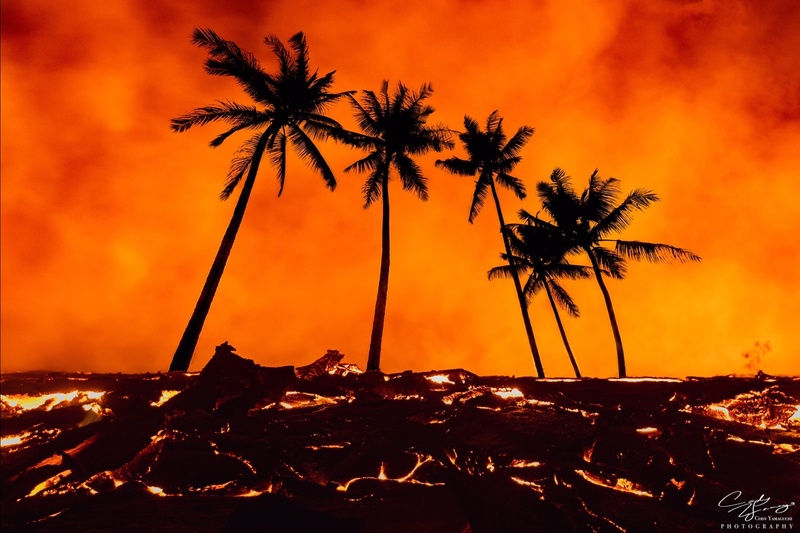 Sad to watch lava consuming this once beautiful place. land is forever changed. I know what you mean. I stayed near at a wonderful place near the volcano last Dec. I wondered if it is still there. That aside, it ia an awesome picture. Interesting juxtaposition... and the sunset color just brings it all together to give the overall image a "firey" mood! Apocalyptic is the word that came to mind when I first saw this image. On reflection I prefer something more positive and say metamorphosis as it implies change, ultimately it's mother nature doing her thing and in Hawaiian islands there has been plenty of this over time creating new paradises. On a story telling level this image succinct, so minimal and to the point - 5 stars. Wonderful image Cody! I really like it! Get out of Photoshop for awhile and concentrate on your subjects.